Give yourself the gift of peace this December. Step onto your mat. Pause, breathe and recharge each Sunday night. 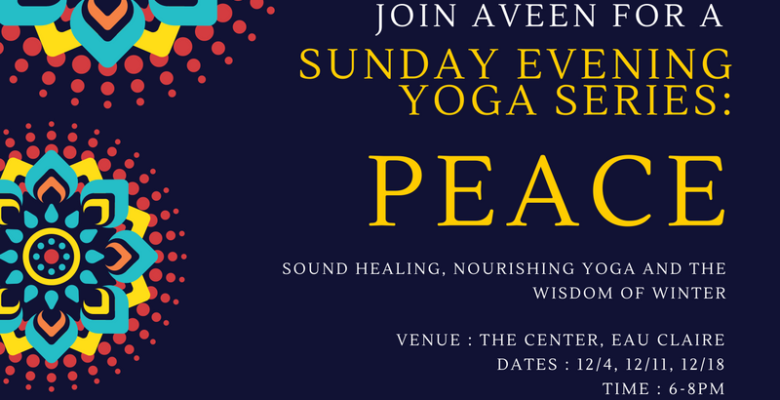 Nourishing yoga (ALL are welcome), sound healing with gemstone alchemy bowls and the wisdom of winter. Join me for three consecutive Sunday evenings or drop in for just one: 12/4, 12/11, 12/18 @ 6-8pm. Cost is: $25/single evening or $60 for the entire series.